Here's a charming way to create magical choreography with one or more coins. This is a ladder to embellish the presentation of stage magic effects involving coins. Every time you make a coin appear from the air, let it fall into the ladder. The coin will gradually enter the tray at the base. Enhance your audience's astonishment at the magical appearance of coins. 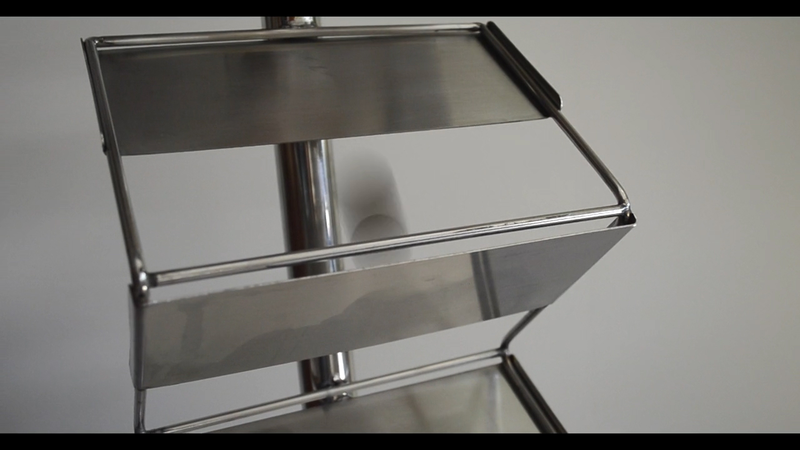 Instead of simply dropping them into a tray, use this Coin Ladder to heighten the effect! It measures 85cm in height and 25cm in width, and it is relatively light. Ideal for small and light coins. Provided with small wheels to facilitate movement. Made of stainless steel and aluminum.